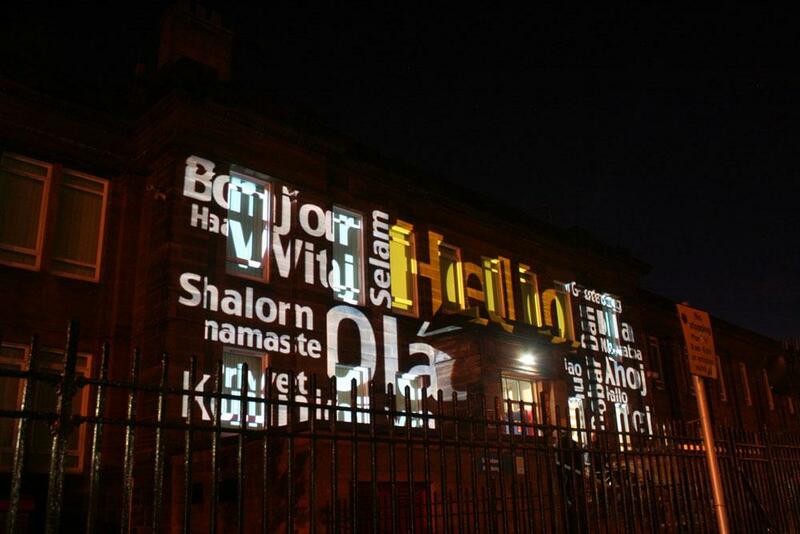 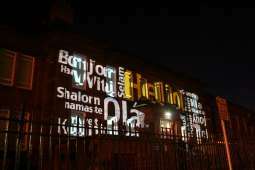 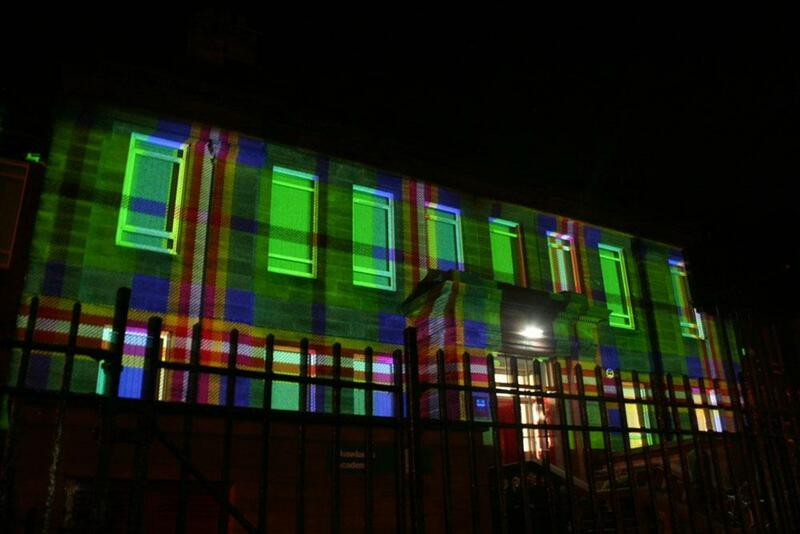 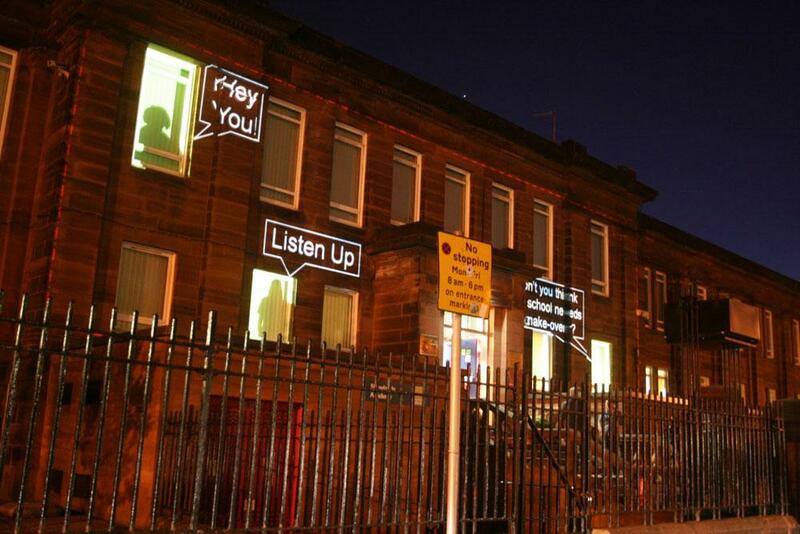 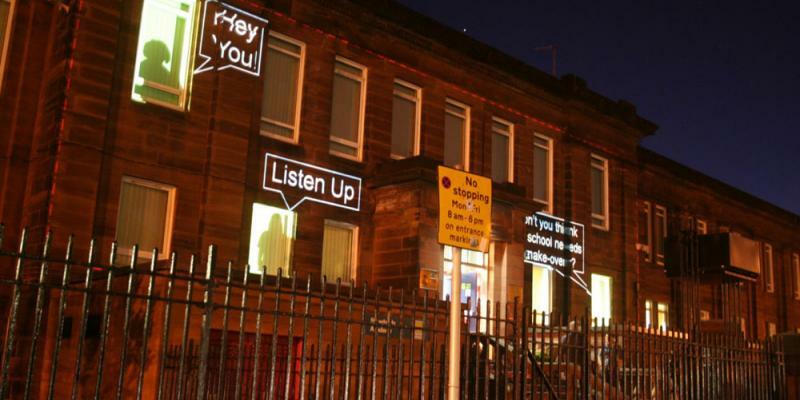 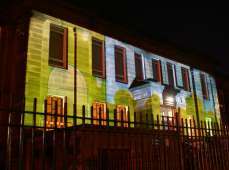 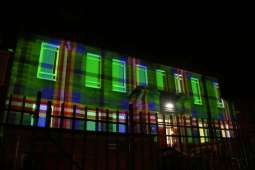 This simple facade projection scheme is designed to create both an education tool and a legacy for the pupils of Shawlands. 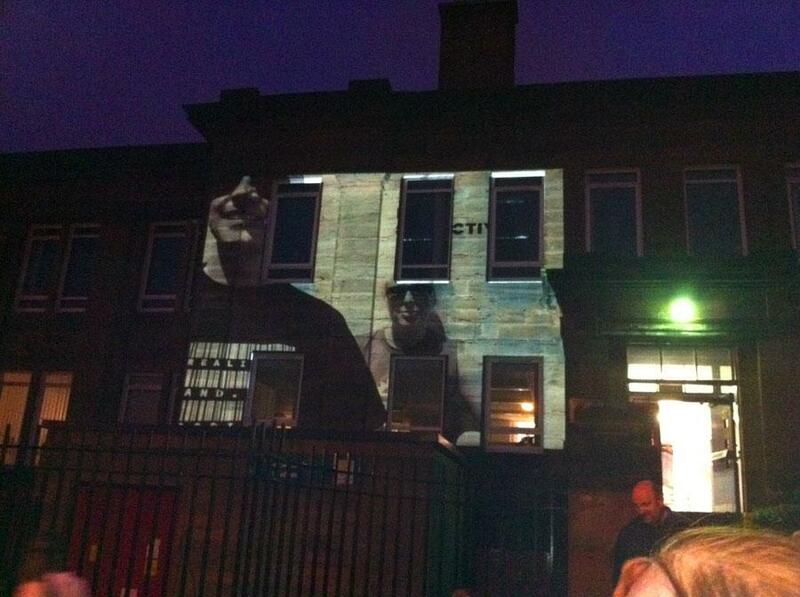 This opportunity is provided by empowering the pupils to become the content providers for the projected images. 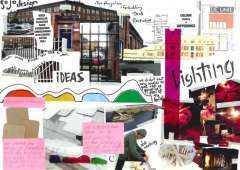 The content can be provided in the form of a simple powerpoint presentation. 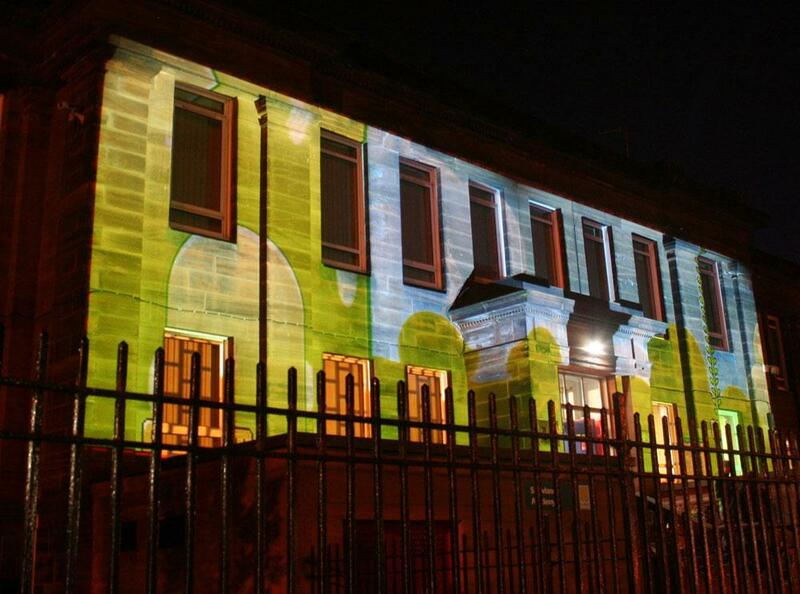 This is an opportunity for the school to continually change the content of the projections as part of cross curriculum design projects and can include images, textures, animation, film, text and photography. 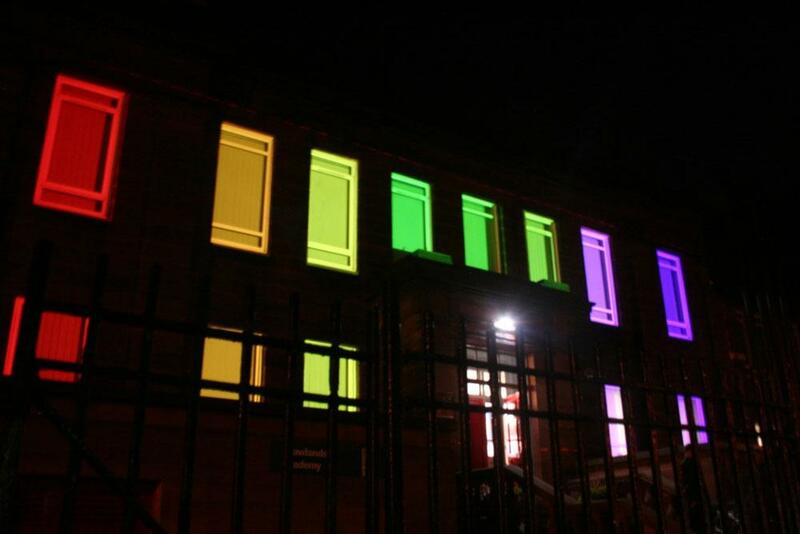 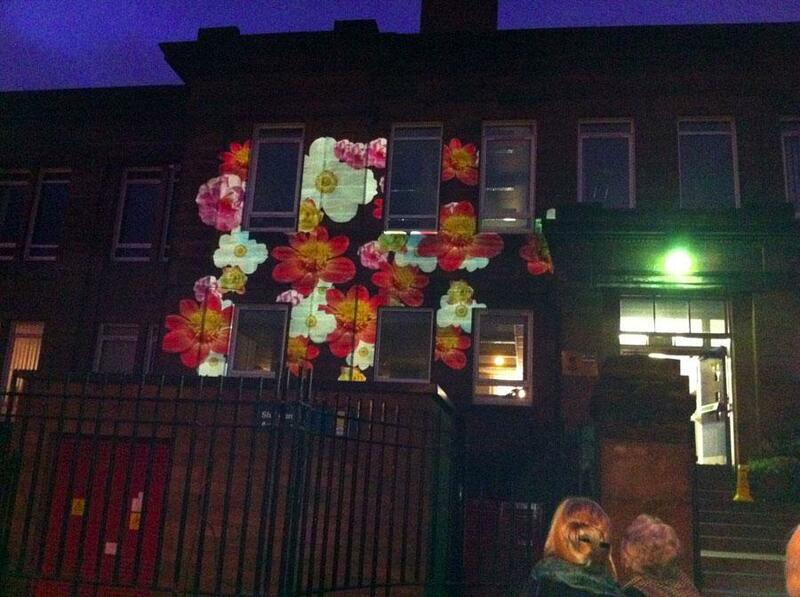 Shawlands Academy has been transformed into an open air gallery. 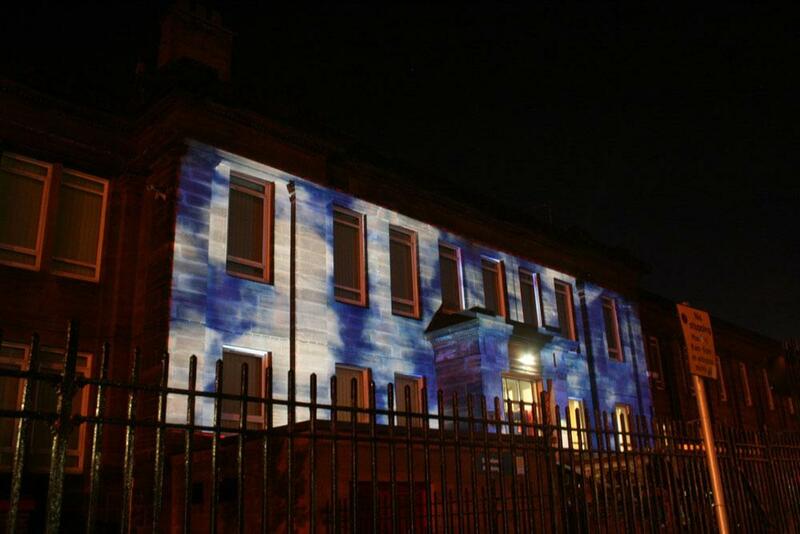 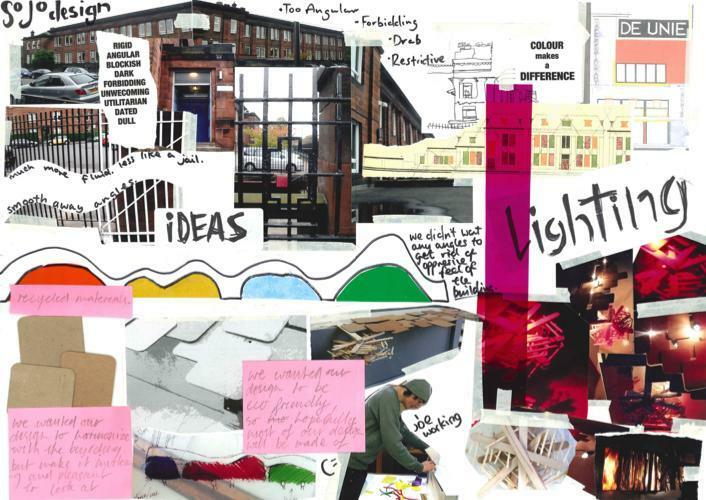 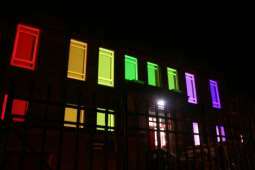 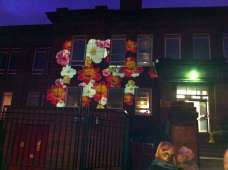 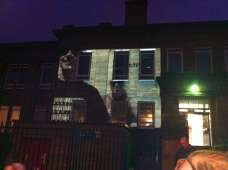 This project was unusual in the fact that the students of the school set the lighting designers brief as part of a local regeneration project and worked with us to create the launch show.